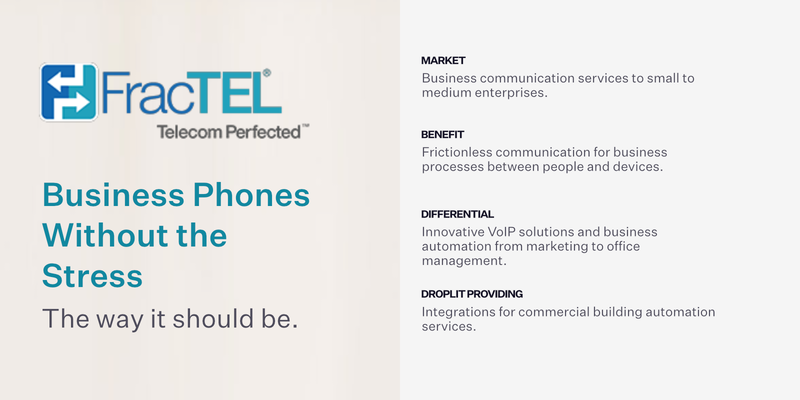 FracTEL is a full service telecommunications company that has been in business for 10 years with a primary customer base of small-to-medium business enterprises. What incentive is there for FracTEL to partner with Droplit? “Combining Droplit’s integration layer with the FracTEL communications layer allows us to pioneer a next generation user experience” says Mike Crown, Founder and CEO of FracTEL. "It is because of Droplit that we don’t have to deal with intricacies and nuances of different smart products that are out there. That’s a powerful and useful abstraction that allows us to do what we do we do well and I don’t think we could do this without Droplit. ""It allows us to put it out there and deploy it separate from our own IT infrastructure. The managers of networks are protective of their network with good reason as security is always a concern. So, the ability to deploy these devices outside the core IT infrastructure means we’re able to side step that natural reluctance." What value do customers derive from this partnership? 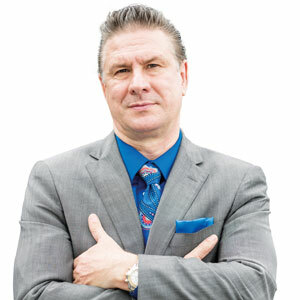 "One benefit of leveraging our solutions is purely financial-- our communications layer and their development work together to make buildings efficient so people can save money, energy. The bigger potential, I think, is in the productivity and convenience aspect. FracTEL and Droplit work together to give people the tools to customize and optimize application for their specific environment and application. Those are the resources we're able to provide with Droplit." What does the future hold for pioneers in the Internet of Things? "We’re dealing with some very sophisticated companies that understand their piece very well but they don’t have an idea of how to do things that fall out of their experience or competency. In the case of the cell providers they’ve invested tons in the IoT space but really the only way that’ve contemplated the problem is with devices that can connect directly to their network. That scenario is something we’re pioneering with Droplit and to my knowledge I don’t feel like the rest of the IoT community has been able to provide a robust solution for this."